Not room in my heart. Not a space. But, an actual room, a place. Is this what is meant by that idea, expressed by that beautiful idealist, “My Father’s mansion has so many rooms” ? Reflecting further, I see that for everything, each and all that I have ever touched in open love, a room in my heart has been created. How many rooms we each have in our heart! It was a few years ago when this line of thinking began surfacing softly in me. As a child I had spent a few years in the Himalayas. 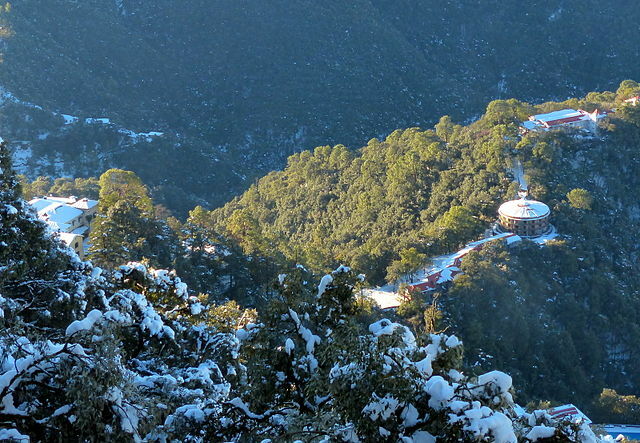 Snows on Woodstock School, Mussoorie, a wonderful place for children to learn and grow. Photo by Paul Hamilton, Creative Commons. After that, for near to 25 years, I did not see them again. 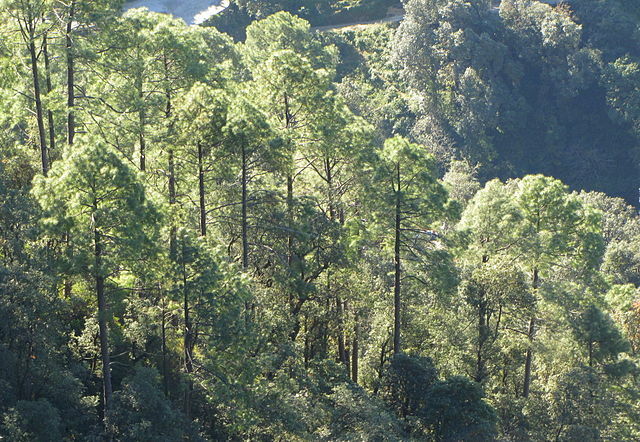 For 10 years of that time, my longing, yearning to be in those mountains was intense. Means – intense. the ancient and well worn footpaths through verdant beauty that had little ‘landings’ by breath-taking vistas – the rush of morning mists and monsoon laden fogs up and down the mountains, tingling and life laden from their passage through the cooling boughs of balsamic needled firs – the vistas of snow capped ranges, bathed in majestic stillness and sunlight – the simple human lives in harmony with the Earth there…I pined, and pined. just for a day, I was back in my old haunts. Much had changed of course. Garbage, commercialism, and air quality, most noticeably. 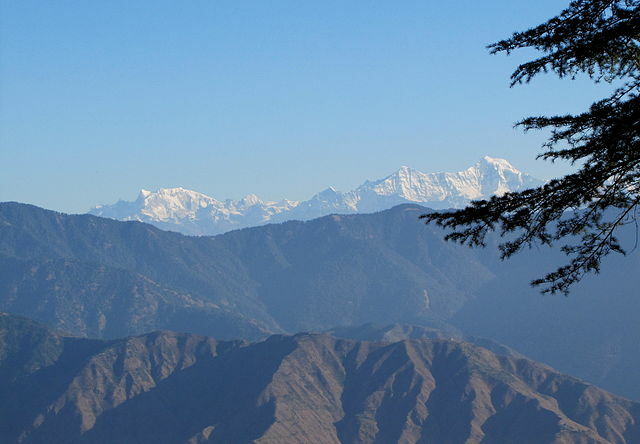 In that brief sojourn, I sat on a stone wall, on the high foothills facing the vaster Himalaya. My son and his friend scampered down the mountains, free like young kid goats. I sat still, soaking in their presence, washing over me, holding me once again. My inner stillness increased. I now experienced a truth I felt Nature there wanted me to see and know. Love, that long ago love, had made us One, all those many years before. We had never, ever, been apart. My pining was a denial of our reality. Once we love something, someone, someplace, it moves into us. Or maybe we can say, our heart embraces it, and through love an indissoluble oneness instantly occurs. It is always, ever after, present, and there for us to revel in and be supported by. And this is happening with everything, each and everything, everyone, and everyplace that we have ever loved and known. Reflecting this morning on this, oblivious to the idea of Valentines Day, somewhat tired out from the exertions of yesterday, I was visiting a room of friendship and love I have with someone. And I asked myself, ‘So, how many rooms are there in my heart?’ And I ‘understood’ and ‘heard’ my answer: “There is a room in all our hearts for each and everything, for everyplace, everyone, everywhere.” I see many are unknown and unopened, we do not know the vast extent of our own heart. When we sit in quiet enjoyment of the lovely rooms in our hearts, there is nothing to be pining or yearning for. What is loved, is here. Self-expansion is our birthright. 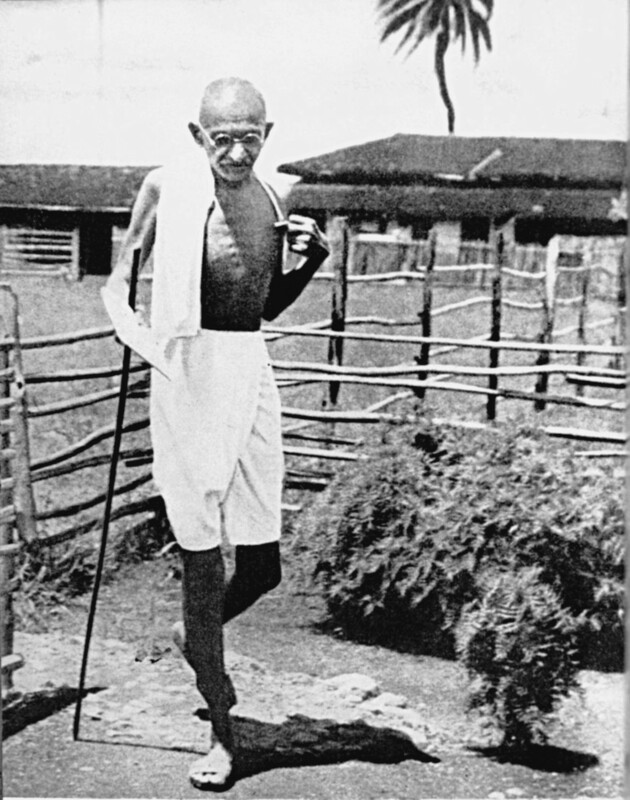 Gandhi outside his hut in Sevagram, the last community he ‘made’, he had gone there to get away from his old hangers-on, to see for himself what one person could do for village uplift, but the crowds soon followed…. Post note: Apparently the effort to ‘touch’ through the room in our heart has some effect. I received a call, an offer to continue our long unfinished conversation. iThe exposition of the late Dutch astronaut, Wubbo Ockels, comes to mind, with his TedX talk on time as being a construct of our minds due to the influence of gravity upon our bodies, particularly, unique parts of our inner ears, and eyes. ii(1999). The Hidden Words of Baha’u’llah and Selected Holy Writings. Baha’i Publishing Trust of the Spiritual Assembly of the Baha’is of Malaysia. Kuala Lumpur, Malaysia. Pg. 28.
iii Gandhi, M.K. (1934). Harijan. February 16. Age 64. Published by PK Willey, in Musings. 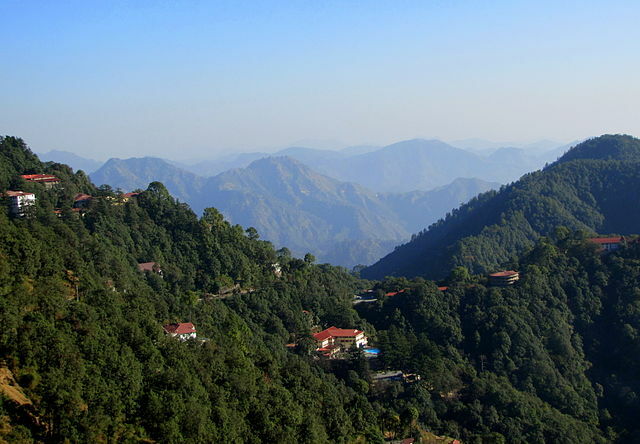 Tagged with Baha'u'llah, Gandhi, heart, Mussoorie, School.